I'm sure some of you out there have been wondering how my dating life is going. Well, let me tell you. It's never a dull moment. Sometimes I wonder why my life is such a soap opera. I never should have gushed so about the 'one' that I met. It was way too soon. I should have saved the I heart BF nails for a later date. But I was caught up in the moment and love springs eternal right? Well my friends, that is over after three weeks. He's just not ready. He is still getting over his ex-wife and getting his own life started again. It seemed that all we did was text and texting does not a relationship make. I did really like him, still do-we really had a lot in common and may have been great together. The timing just wasn't for us. Back on the online site I went. I swear I was talking with about twelve men at the same time. No I didn't go out with them, just talking. I told my mom that my whole life, I've been the one who was not popular or pretty. But now I'm getting the last laugh. The girls who were pretty years ago haven't aged as well and now I'm the hot one. So I am just reveling in the attention. Oh and remember the date I had when we watched scary movies and then nothing? Well he texted me and apologized and asked if we could try again. Of course I said yes. I actually really liked him and it's been about 5-6 weeks since our date. Do you think that means he's been pining for me all this time? He's already asked me out on a date for Saturday and he asked me on Monday-so he was serious about wanting to see me again. Oh and then there's the guy who I met for coffee in between the last two I just talked about. I thought it went well, he called me while I was driving home to say he had a nice time and asked me out again. Then the stalking started-he would message me that he saw me on the online site. After one date I guess he figured he owned me even though he told me he was talking to other women. One morning I woke up to the message "lies" and nothing else. When I asked him about it, there was silence. When I asked him if he was done talking to me he texted yes. When I asked why there was more silence. Then get this, he had the nerve to call me and try to text me. WTF people! I definitely deleted him from my sites. What I have learned is to be chill and take things one day at a time. You never know what's going to happen. Wish me luck for my date this weekend-maybe second time's the charm? 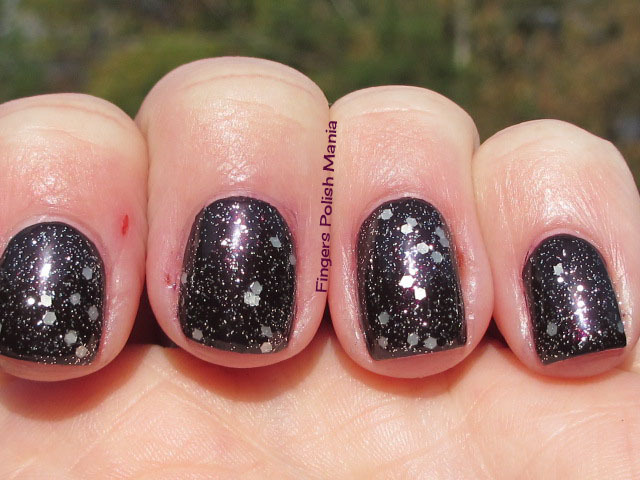 This is OPI Pirouette My Whistle and Chick Polish Rocker Chick. Oh yeah, more Chick! 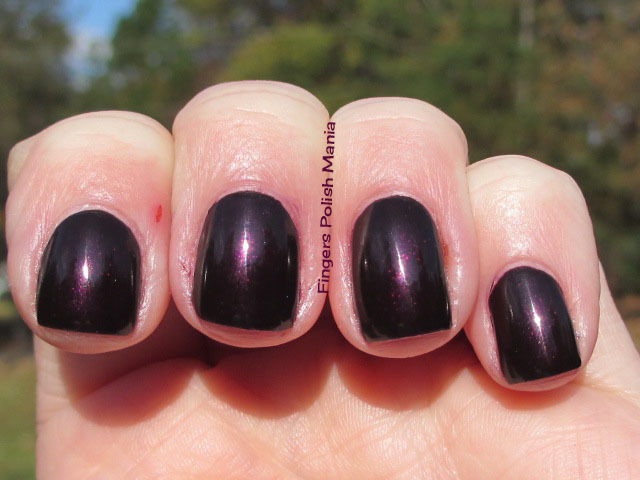 I was feeling vampy and wild and Rocker Chick was calling my name. 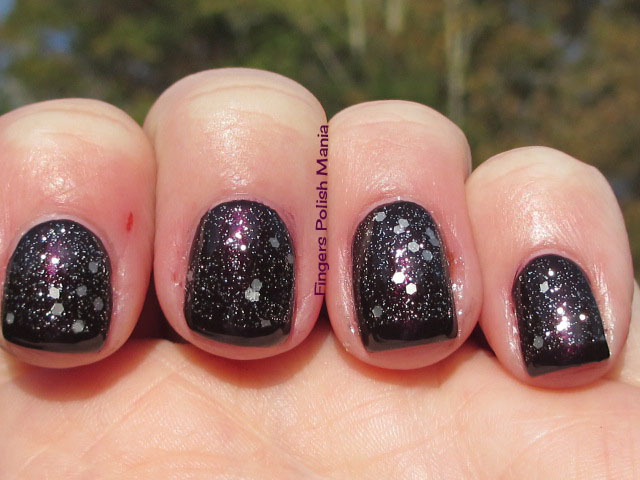 I started with Rocker Chick and loved it so much, I didn't even do my usual accent nail. Now that's love people! Here are the starting shots. Oh yeah this is my kind of polish. 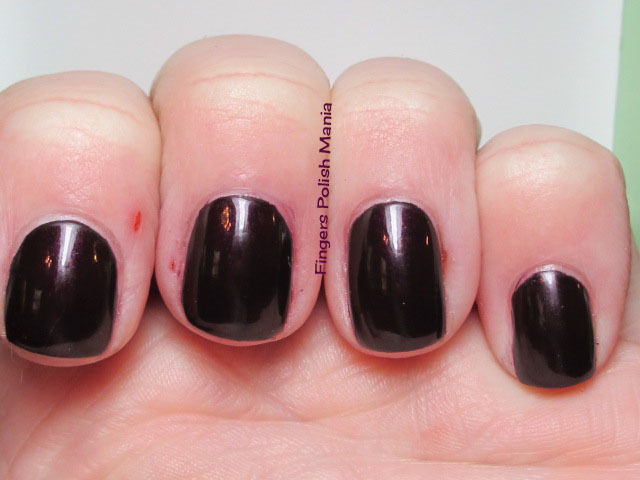 Dark, vampy with burgundy shimmer. Swoon! Because I loved this color so much, I didn't want to mess with it too much. 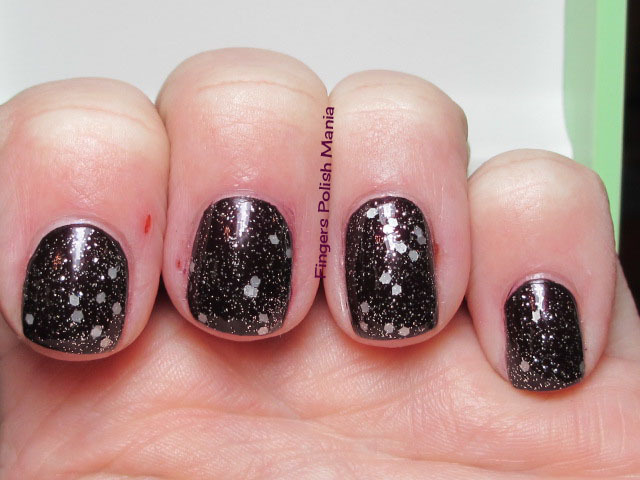 I simply added a layer of Pirouette glitter. Here is that step. I continued on with my love for this color by adding my funky in the original Rocker Chick color. Here are the results. Watch for the shimmer of burgundy to peek through in the sun shots! Can you see the burgundy peeking out? Oh how I loved this mani. I couldn't stop staring at my nails. I had to go and order three more of this brand Chick. I am in love people! You can get your own here. I'll have to go back to the Online Dating Box site and submit yet another chapter in the saga that is my love life!